Culture cannot wait. Be it the rescue of the ancient manuscripts in besieged Timbuktu or the careful salvage of destroyed temples in the earthquake that struck the Kathmandu Valley, affected communities always strive to protect their cultural heritage following an emergency. Yet, where does one start, and who can help affected communities in recovering their heritage? Questions such as how and when to intervene in an unfolding humanitarian crisis continue to be problematic for national agencies tasked with both the humanitarian relief and at-scale recovery of cultural heritage. First Aid for Cultural Heritage in Times of Crisis (FAC) emphasizes coordinated emergency preparedness and response for tangible and intangible cultural heritage. 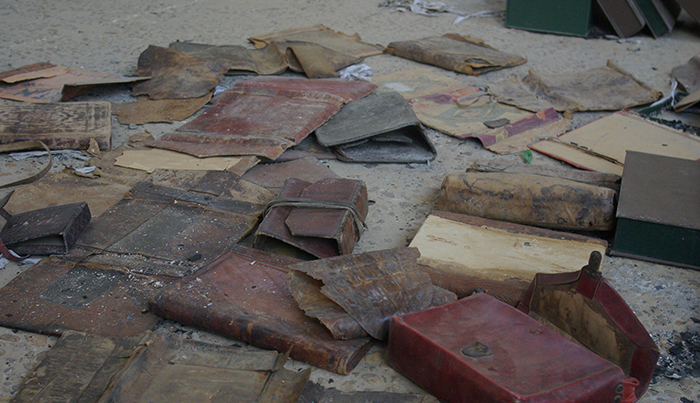 It is based on a field-tested three-step framework for providing first aid to cultural heritage, which can be adapted to any emergency context, be it the result of conflict or disaster, and is especially useful in planning at scale responses for securing and stabilizing different types of cultural heritage during complex emergency situations. Developing a culture of preparedness, ongoing risk management, collaboration as well as coordination with mainstream emergency actors forms a core component of the training. The training identifies areas of joint programming between culture and humanitarian sectors to make certain that the affected communities participate in their own recovery. The training is mostly hands-on. It aims to enhance participants’ skills for emergency management, crisis communication, and providing people-centered first aid for cultural heritage. 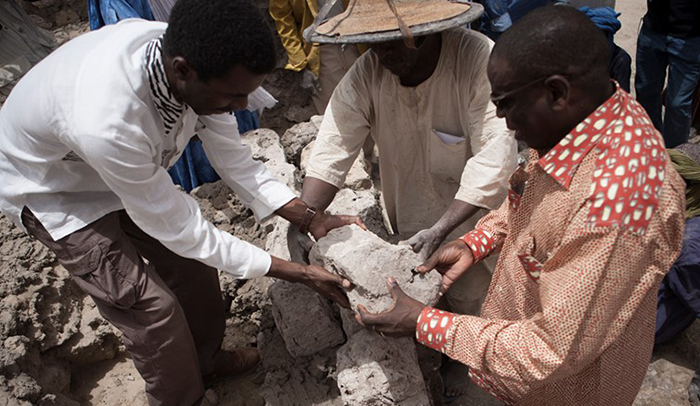 Using the recent conflict in Mali as a central case study, this course will offer insights gained in recovering cultural heritage in tandem with humanitarian recovery. Participants will have the first-hand experience of interacting with communities engaged in recovery, reconstruction and peace building processes. The rich cultural and social context of Mali will provide participants with a unique opportunity to understand the complex and interminable links between people and heritage during crises. Those who have prior experience of working in an emergency situation or are responsible for protecting cultural heritage from disasters are especially encouraged to apply. Previous experience of, and/or ability to train others is desirable. Maximum intake: 24, of which 19 selected from African countries (including 4 from Mali) and 5 from countries outside. The multi-disciplinary and international training team will include professionals who have been working in emergency situations for protecting cultural heritage or have experience in managing emergencies as well as facilitating rescue operations. Participants are responsible for their round-trip travel costs to and from Bamako (Mali), and for all living expenses. Tea and coffee breaks as well as lunches will be offered. To cover the cost of living, including accommodation, participants should plan for a minimum allowance of approximately 100 USD per day . Candidates are strongly encouraged to seek financial support from sources such as governmental institutions, employers and funding agencies. UNESCO will offer up to 15 full scholarships covering round-trip travel, accommodation and meals during the course for professionals from African countries. Up to 4 participants from Mali are entitled to a partial scholarship to cover their local travel within Bamako or travel to Bamako accommodation and meals. ICCROM will provide a limited number of scholarships to the selected candidates from outside Africa. 1) Please fill out the on-line application form and send it together with your personal statement by e-mail to: FAC-AFRICA@iccrom.org and epr@unesco.org. c) If applicable, highlighting previous experience in working in an emergency situation, and lessons learned.